3 days/4 Nigths package that explores rivers Maitena and Genil valleys in Sierra Nevada. We will cross different terrain each day, following bridle paths, cowboy paths and forestry tracks. We will cross over mirror looking rivers (brave ones can have a swim), Moorish irrigation channels and even we will step over a real Roman road made of stones. We will eat in real restaurants on route and we will stay in the wonderful town of Guejar Sierra. 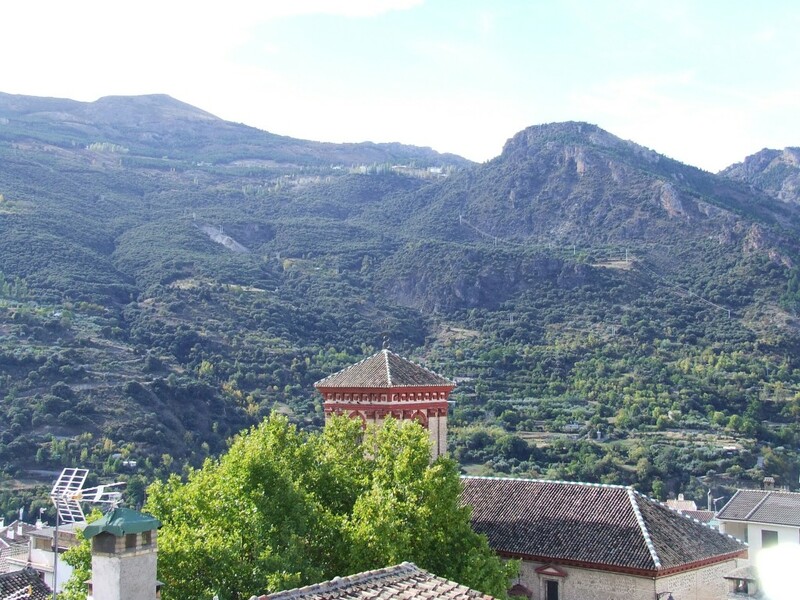 Those of you who have arranged to be collected from Malaga airport will be pickup at prearranged time and driven to the village of Guejar Sierra; around two hour drive. We will stay in the best accommodations in Guejar Sierra, most of them with swimming pools. We will meet you at 8.30pm and take you for dinner in La Hacilla, one of the local restaurants, a ten minutes nice walk from your accommodation. 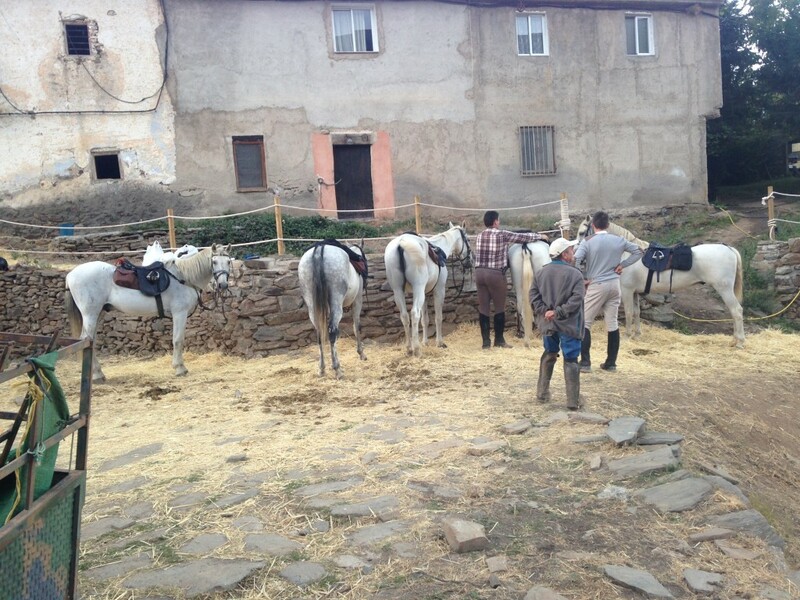 After a nice breakfast, we drive up to the stables (5 kilometres from the village) to meet the horses. Once everyone has been introduced to their horse we start the ride with a steep climb through Sierra Nevada oaks (malojos) and holly oaks. It will be a mixture between forestry track (into the National Park) and “vaqueros” (cowboys) paths. 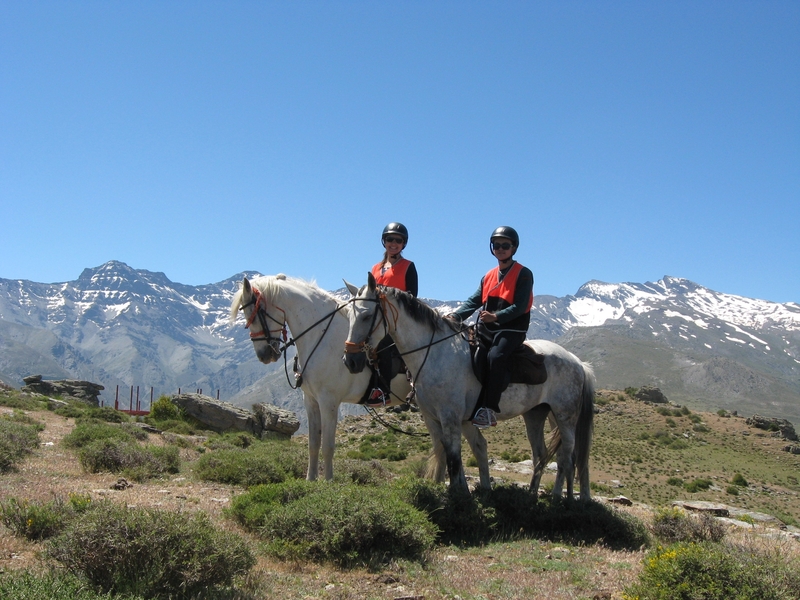 We will reach 2,000m high very soon to Loma Los Papeles and there the track allows some steady trots and canters (if the breathtaking views over Sierra Nevada allows you to do so). Also we will pass the remains of trenches of “The Spanish Red Army” from the Civil War (1936-1939). Picnic lunch will be at Piedra Partida Mountain Shelter (2,400 metres high), spectacular views over El Cuervo and all Sierra Nevada peaks. We will descend to the Maitena Valley then and, if we are lucky, we will see wild partridges and Spanish wild goats leading back to the stables. Today we will reach 1,600m and get into the Maitena Valley down to Maitena and Genil rivers. We will follow a combination of forestry tracks and bridle paths through cherry trees, pines, oak and chestnut woods. 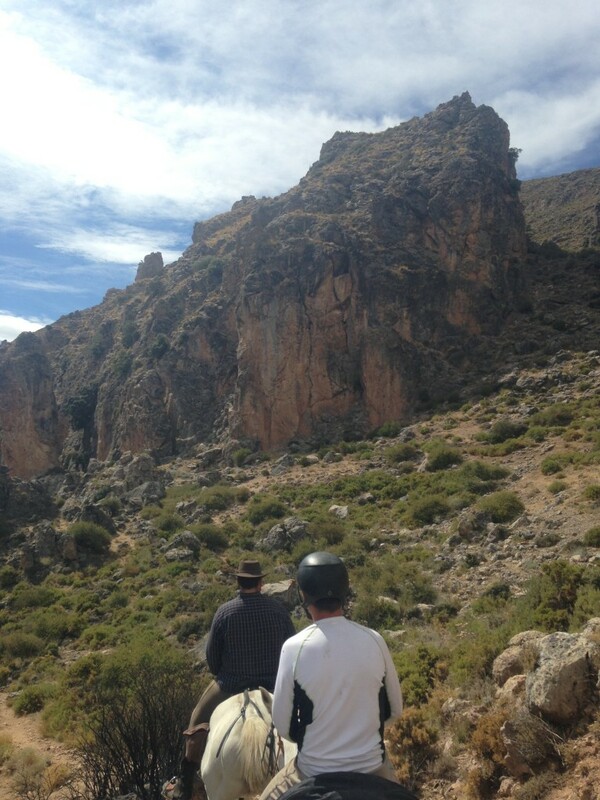 We will pass Cortijo Las Fuentezuelas and down to Maitena River. We will have lunch at Chiquito Restaurant where, if you dare, you can have a bath in the natural pools of the river. 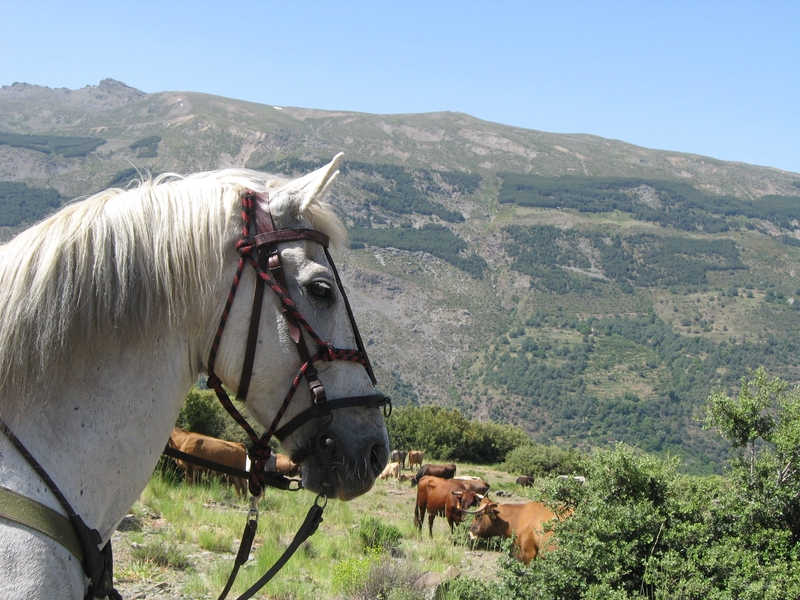 Then we will follow the Guejar Sierra old tramway road, just over the river to reach Cortijo la Viña and a wonderful chestnut trees and holly oak trees forest to reach the stables. Today, after crossing Maitena River we will reach La Vereda del Collado del Alguacil (vaqueros path). It crosses The Robles Caves and reach Collado de La Gitana. Today we are in a different kind of terrain (karst) and you can smell aromatic flowers and admire a lot of geological formations. At 2,000m we will turn down to La Trinchera. We will have lunch at Fuente La Teja and after a short road we will walk over a real roman stone road and reach Guejar Sierra spring water Fuente Los 16 canos. From there we will take a bridle path and forest track to the stables, no without crossing in several places an old Moorish irrigation channel. Farewell drink with your guides. After breakfast transfer to Malaga airport at pre arranged time. Includes: 4 nights accommodation, breakfast, picnic lunch one day, restaurant lunch two days, dinner on night of arrival, 3 full days riding. The price is based on a double or single room, if you require a single room there is a supplement of 75 Euros. Not included: flights, personal and medical insurance, airport transfers. Airport Transfer: We can arrange collection from Malaga or Granada airport for an additional cost of 35 Euros per person each way. The collection time should be no later than 4pm, and the return transfer on the day of departure would get into Malaga on earlier than 10am.